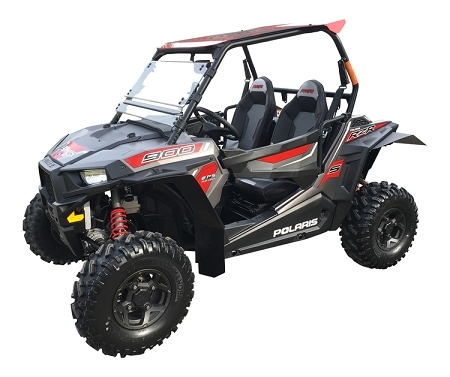 MudBuster's 2015+ Polaris RZR-S 900, RZR-4 900, RZR XC-900, and the RZR-S 1000 fender flares were CAD designed to accommodate the wider stance of these awesome machines! 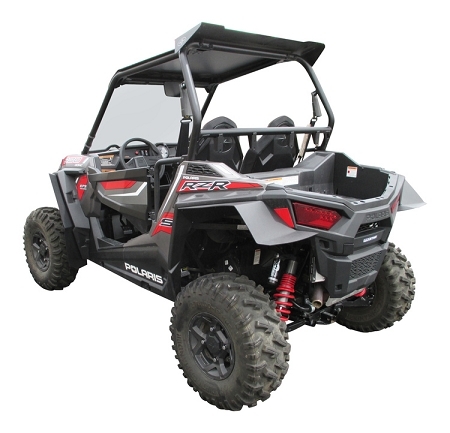 Our fender flares are made from strong, yet flexible HDPE plastic. With our fenders installed, you will have fender coverage to the outside edge of the tire tread. Thus, greatly reducing your clean-up time! Our fenders fit the 2 and 4 seat models. 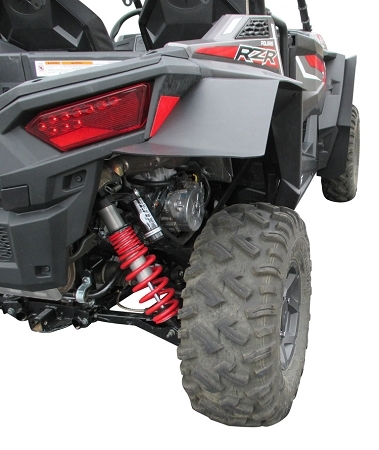 These fender extensions will not fit the XP-1000 or the 2015-2016 RZR 900 Trail model.